Price will vary based on the departure date and departure cities. All departure dates are 50% off. Additional $200 coupon is limited for the first 200 customers, Availability is limited to 20 seats per departure date. 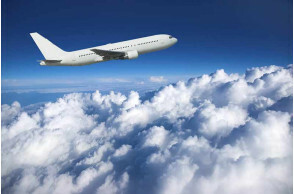 All tour packages include the round-trip international flights from New York/Los Angeles to Japan. 1） Initial deposit: US$300.00/pp at the time of booking. US$300.00 pp is required after 2 weeks. *Climb Japan's highest mountain, the legendary Mt Fuji, the UNESCO World Heritage site【Optional Tour】. 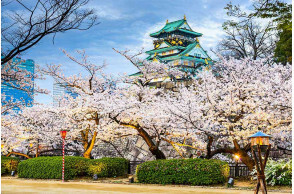 *Late March to early April is historically the best time to view cherry blossoms, but we can't guarantee that they will bloom on these dates as they are highly seasonal and subject to climatic conditions. *The end of Oct through early Nov is the best time to see crimson leaves in Autumn. Fly to Osaka from USA. Arrive in Osaka KIX where you will be greeted by our friendly ground crew and guided to the coach bus (or airport shuttle bus) to transfer to the hotel. Enjoy the remainder of the evening free at leisure. This morning, first visit the famous landmark Osaka Castle Garden. Surrounded by greenery, the garden commands a beautiful view of the castle tower and the stone wall of a moat. Then enjoy some free time in Shinsaibasi, the premier shopping area in Osaka. 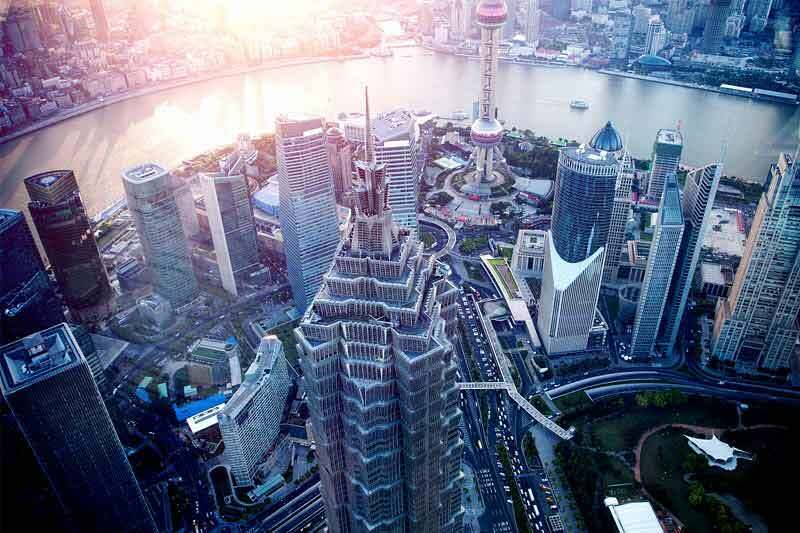 Around 600 meters long, it’s filled with trendy boutiques, retail chains, and luxury department stores. Crossing the street and out of the covered arcade, you’ll walk into this open area and see that large Glico man sign. That’s when you know you’re in Dotnobori. Originally installed in 1935, the giant Glico Man is Dotonbori’s most iconic landmark. Afterwards, we will drive to Nara, a city shrouded in legend and thronged with significant sites. Make a special visit to Nara Deer Park, home to hundreds of freely roaming deer. Considered in Shinto to be messengers of the gods, Nara's nearly 1200 deer have become a symbol of the city and have even been designated as a natural treasure. In the afternoon, travel to Kyoto, Japan's cultural and artistic center, and the country's capital for over 1,000 years. Upon arrival, visit Kyoto Fushimi Inari Shrine, famous for its thousands of vermilion torii gates, which straddle a network of trails behind its main buildings. It has ancient origins, predating the capital's move to Kyoto in 794. Spend today as you wish in Kyoto, either exploring the shops, restaurants, gardens, and tea-houses on our own, or perhaps choosing to take an optional Full-Day excursions of Kyoto City. Enjoy your journey back to Tokyo via the Tomei Expressway (470KM, appx. 6.5 hours). Alternatively, you can join an optional train ride to Tokyo on "Shinkansen" - Japanese Bullet Train, and enjoy more free time in Tokyo. 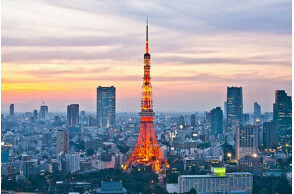 Enjoy a free day in Tokyo to explore this dynamic capital city. If you’d like, book an optional Tokyo City tour with lunch. 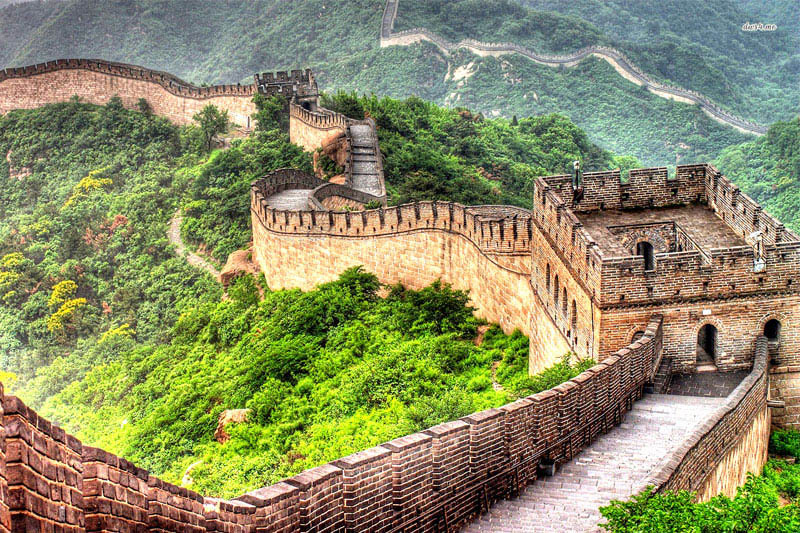 Alternatively, you can join a Full Day optional tour to sightseeing the Mt. Fuji, Japan's highest and most revered mountain. 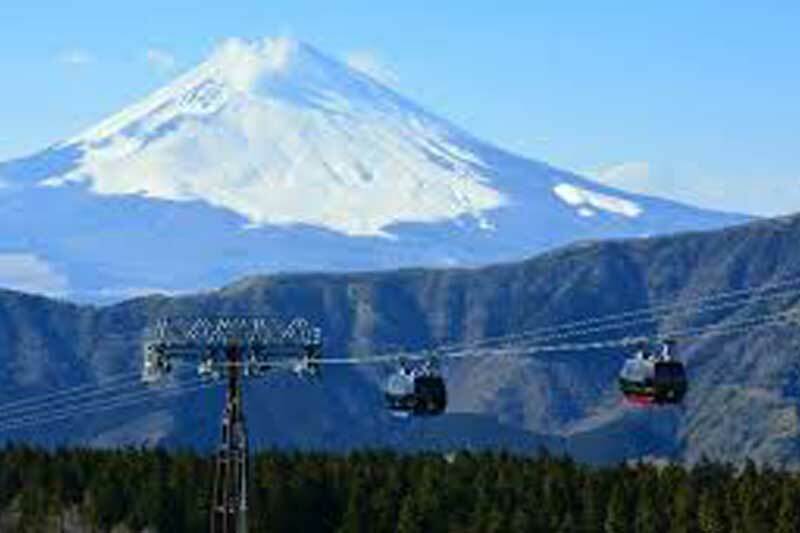 Enjoy a scenic car ride on the Hakone Ropeway followed by a Cruise on Lake Ashi to witness stirring panoramas of Mt Fuji. 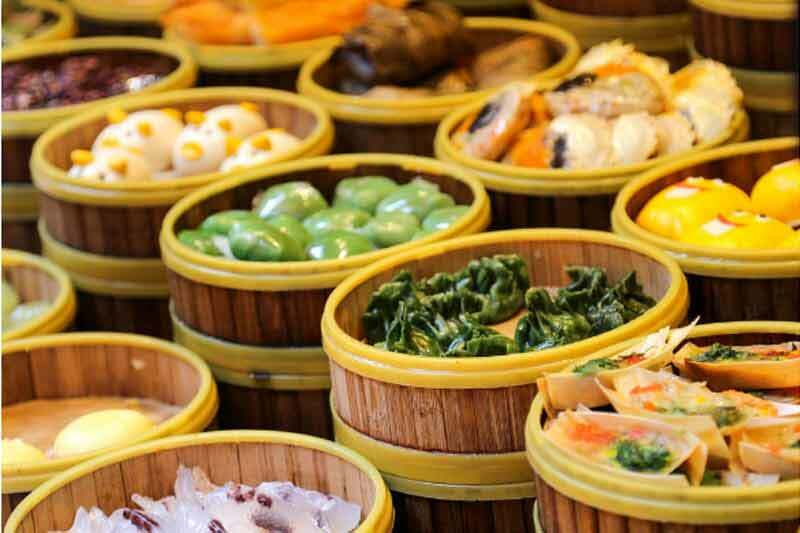 Have lunch during a stop along your travels today, taking the opportunity to try some of Japan's unique snacks and dishes. Transfer to Nikko Narita Hotel for the convenience of your departure the next day. Today, passengers will take transfer to the NRT or HND Airport by hotel shuttle. Your amazing Japan trip ends. Upon arrival into Hiroshima Airport you will be met by the tour guide and transferred to the hotel. Meet and greet with free shuttle bus service: 9:00a.m. until 11:30p.m. Private vehicle transfer/drop off service option: $100-$200 per person per ride (minimum 2 passengers). 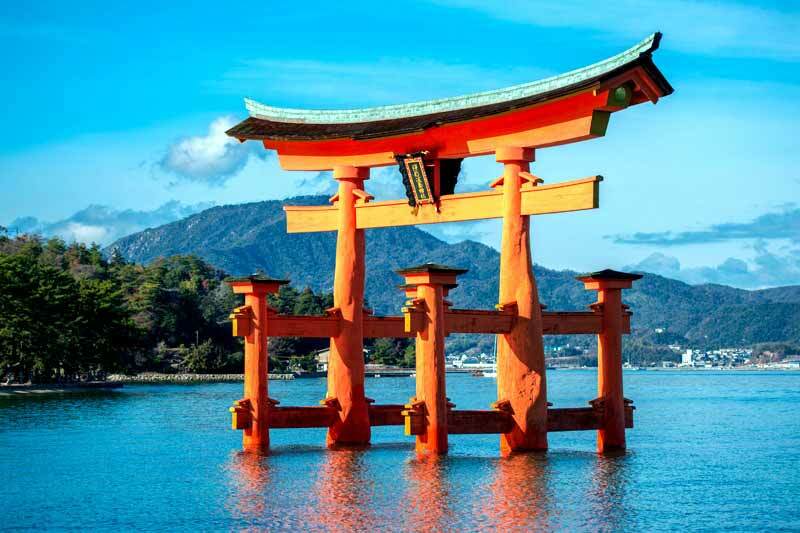 This morning start the journey to Miyajimaguchi by coach then board a boat travelling to the majestic Miyajima Island, otherwise known as Itsukushima, or Divine Island. A landmass hailed as one of Japan’s most beautiful landscapes. Disembark and discover the natural and cultural treasures of the UNESCO World Heritage-listed island for 45-minutes with your guide. See the shimmering Itsukushima Shrine then revitalize with a delicious lunch in a local eatery (not included). 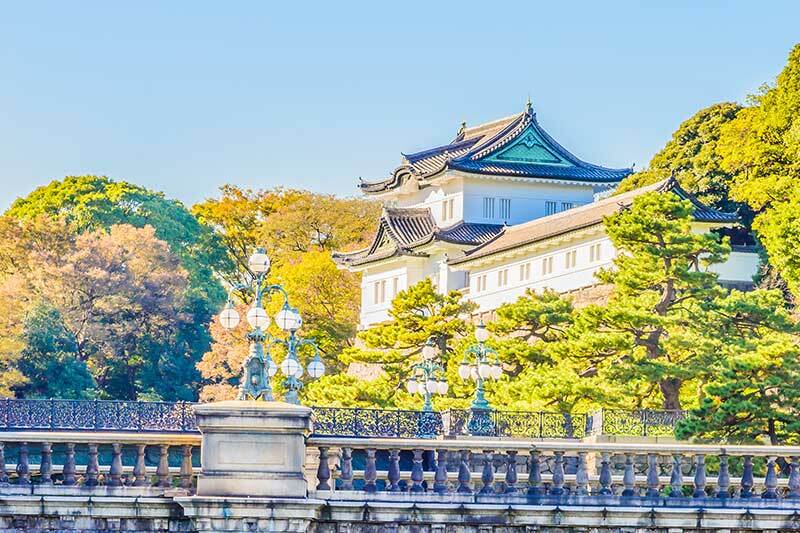 Reboard the boat and cruise back to Hiroshima to reflect on the heartbreaking history of the region. Take a moment of contemplation at the Hiroshima Peace Memorial Park, a historical site near to where the atomic bomb exploded. See exhibitions that articulate the destruction the bomb caused and marvel at the city’s regenerative recovery. Finally, board a bus to the Atomic Bomb Dome (Genbaku Dome), a skeletal structure that miraculously survived the 1945 attack. Return to the train station for the exhilarating return journey to Osaka on the bullet train, where the extension tour concludes and you meet the rest of the tour group. Remarks: If you book the optional tour in Japan, it will be back to regular price for 20% more. 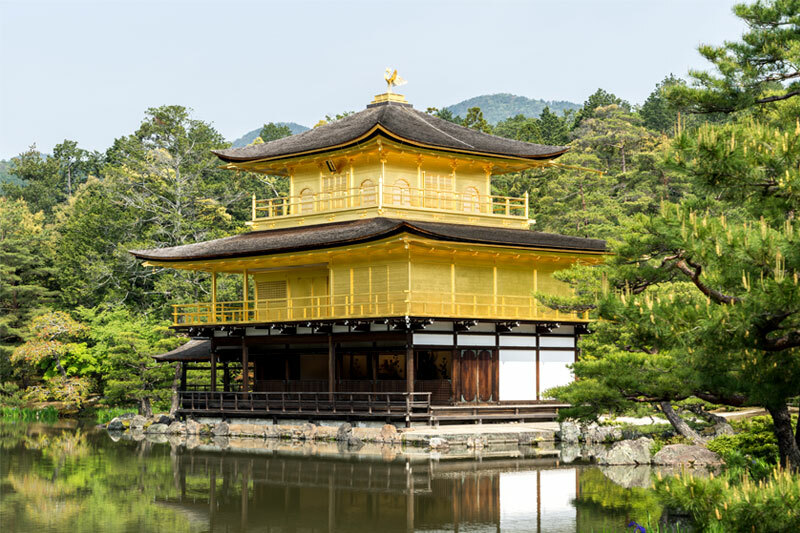 *Kinkakuji (Golden Pavilion) is a Zen temple in northern Kyoto whose top two floors are completely covered in gold leaf. Formally known as Rokuonji, the temple was the retirement villa of the shogun Ashikaga Yoshimitsu, and according to his will it became a Zen temple of the Rinzai sect after his death in 1408. Kinkakuji is an impressive structure built overlooking a large pond, and is the only building left of Yoshimitsu's former retirement complex. 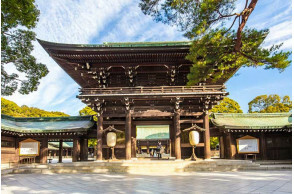 It has burned down numerous times throughout its history including twice during the Onin War, a civil war that destroyed much of Kyoto; and once again more recently in 1950 when it was set on fire by a fanatic monk. The present structure was rebuilt in 1955. 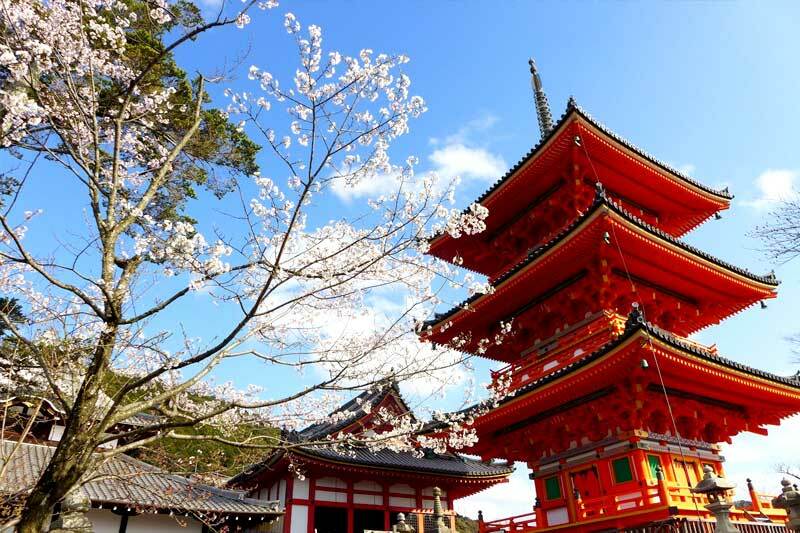 *Kiyomizudera (Pure Water Temple) is one of the most celebrated temples of Japan. It was founded in 780 and remains associated with the Hosso sect, one of the oldest sects within Japanese Buddhism. 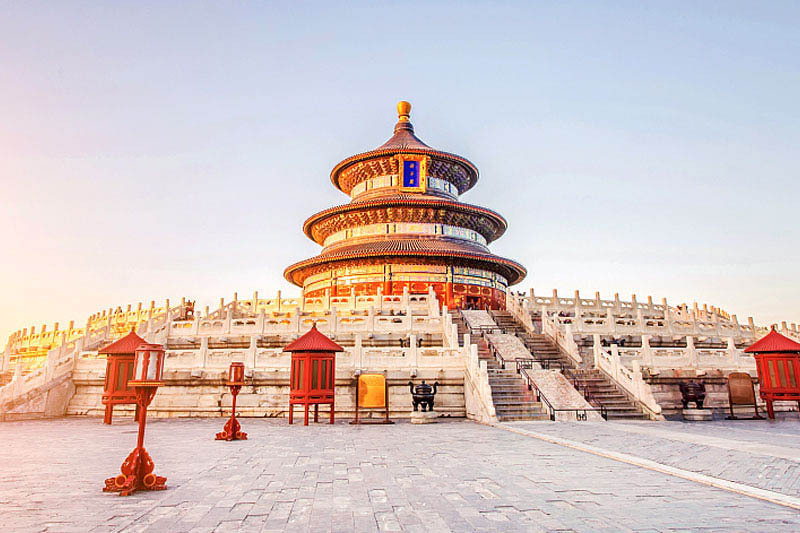 In 1994, the temple was added to the list of UNESCO world heritage sites. Kiyomizudera stands in the wooded hills of eastern Kyoto and offers visitors a nice view over the city from its famous wooden terrace. And the many shops, restaurants and ryokan in the area have been catering to tourists and pilgrims for centuries. Products on sale range from local specialties such as Kiyomizu-yaki pottery, sweets and pickles to the standard set of souvenirs. 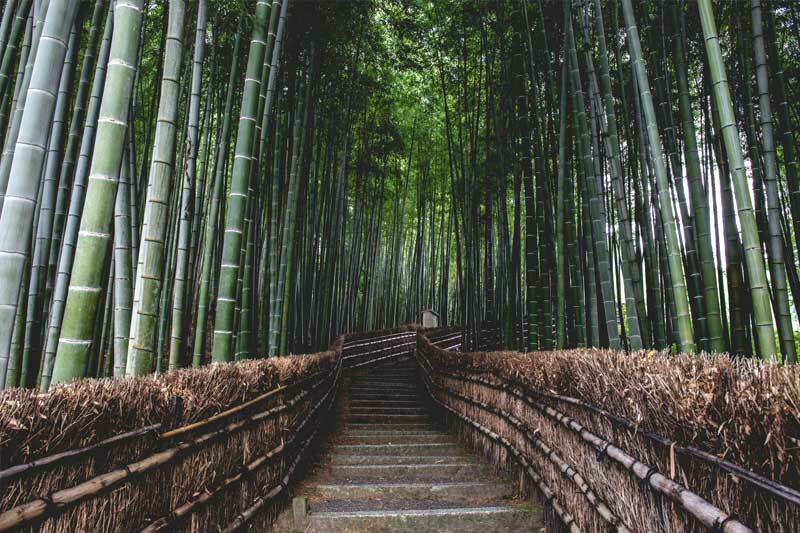 *The Arashiyama Bamboo Grove is one of Kyoto's top sights and for good reason: standing amid these soaring stalks of bamboo is like being in another world. You can access it directly from the main street of Arashiyama, a little to the north of the entrance to Tenryu-ji Temple, but it's best paired with a visit to that temple (exit the north gate, take a left and you'll be in the grove in no time). There’s just one main path through the grove, which leads slowly uphill. Once you get to the top of the hill, the entrance to the sublime Okochi-Sanso Villa is right in front of you (go in, you won't regret it). *Gion is a district of Kyoto, Japan, originally developed in the Middle Ages, in front of Yasaka Shrine (Gion Shrine). The district was built to accommodate the needs of travelers and visitors to the shrine. It eventually evolved to become one of the most exclusive and well-known geisha districts in all of Japan. 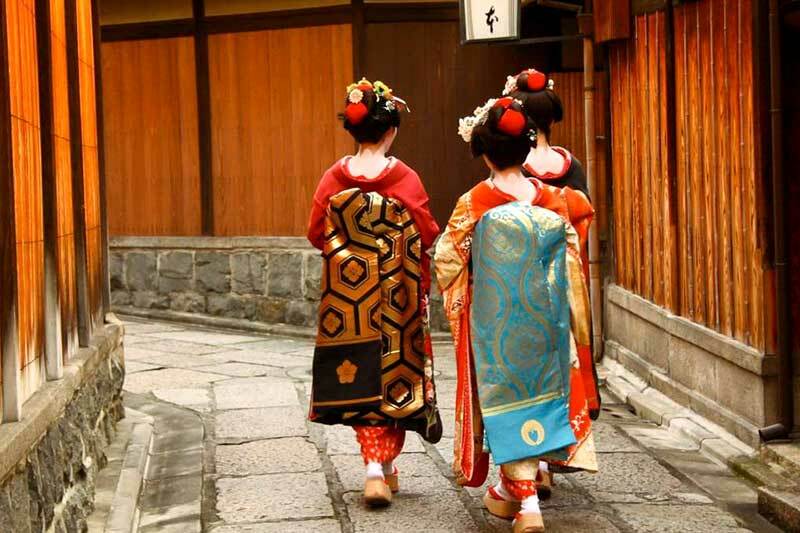 The geisha in Kyoto do not refer to themselves as geisha; instead, they use the local term geiko. While the term geisha means "artist" or "person of the arts", the more direct term geiko means essentially "a woman of art". *After Breakfast, enjoy more free time in Kyoto, take the afternoon train to Toyko, recommend the most famous Railway lunch bento box at Kyoto Station, where you will travel to Tokyo on the" Shinkansen" - Japanese Bullet Train, and enjoy more free time in Tokyo. 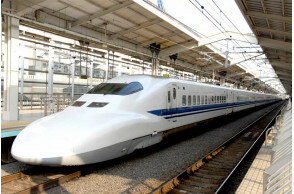 *Japanese trains and subways are very clean and modern and are amazingly punctual. Take on the super-efficient Shinkansen or Bullet Train (tourist class reserved seat) at the speed of up to 186 mph or 300 km per hour from Kyoto to Tokyo and arrive in the metropolis in less than 3 hours! 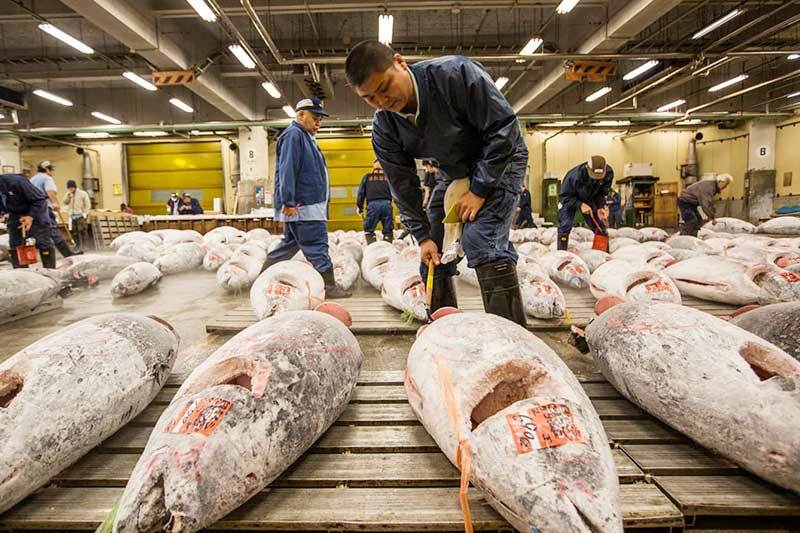 *Tsukiji Fish Market - It is said that "Uogashi" or a riverside fish mar­ket dates back to the 16th century, the beginning of the Edo period. Tokugawa Ieyasu, the first Tokugawa shogun and builder of Edo as is now Tokyo, invited fishermen from Tsukudajima, Osaka and gave them a privilege for fishing in order to let them supply seafood to Edo Castle. The fishermen purveyed fish to the Castle and sold the remains near the Nihonbashi bridge. It was the origin of Uogashi. *Sensoji, also known as Asakusa Kannon Temple, is a Buddhist tem­ple located in Asakusa. It is one of Tokyo's most colorful and popular temples, and one of its most significant. Formerly associated with the Tendai sect of Buddhism, it became independent after World War II. 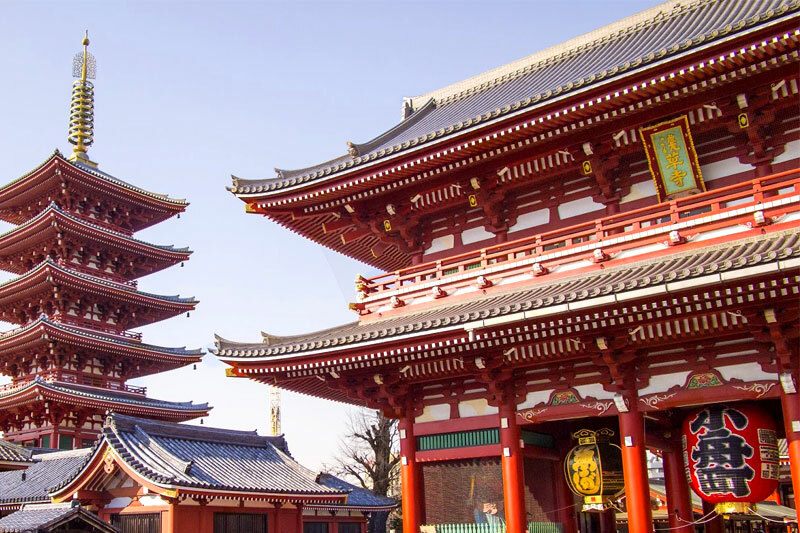 Adjacent to the temple is a five-story pagoda, Shinto shrine, the Asaku­sa Shrine, as well as the Nakamise-dori (Nakamise Shopping Street) - a bright­ly-colored thoroughfare of food vendors and souvenir stores that leads to Asakusa Kannon Temple. 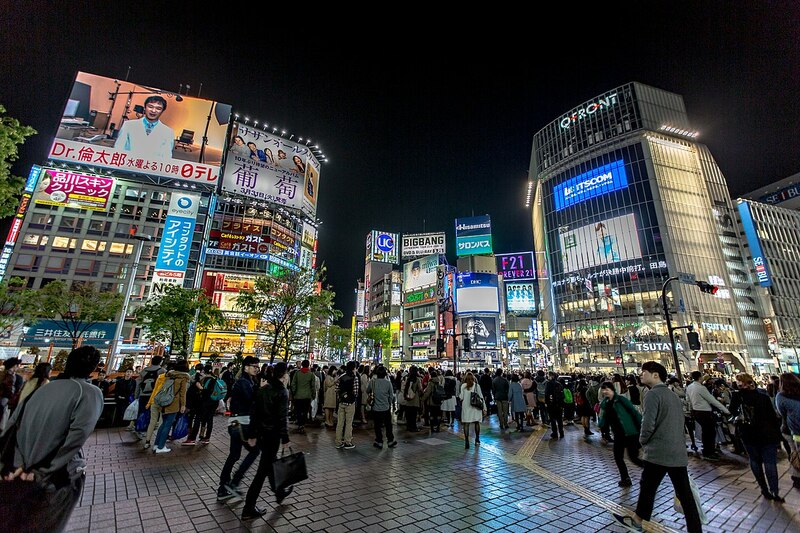 *Shibuya-ku is a shopping and eating district popular with a lot of young Tokyoites. It's within walking distance from two other large shopping districts - Omotesando and Harajuku. Shibuya deserves a prize as the district with more two-story televisions than any other area in the world. Most of the action in Shibuya is in the hectic blocks to the north­west of the JR station. The best place to get oriented is the Hachiko exit, which opens onto the famous five-way "scramble crossing" under the giant video screen. 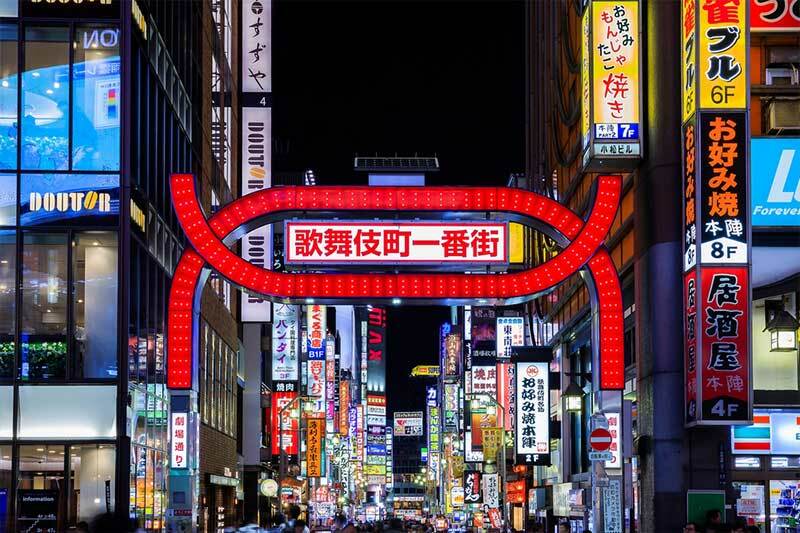 *Kabukicho is an entertainment and red-light district in Shinjuku, To­kyo, Japan. Kabukicho is the location of many host and hostess clubs, love hotels, shops, restaurants, and nightclubs, and is often called the "Sleepless Town" . The area has many movie theaters and is located near Shinjuku Station, Seibu Shinjuku Station, and several other major railway and subway stations. *Mt. Fuji 5th Station: The bus will head up to the 5th Station along the Subaru Line. 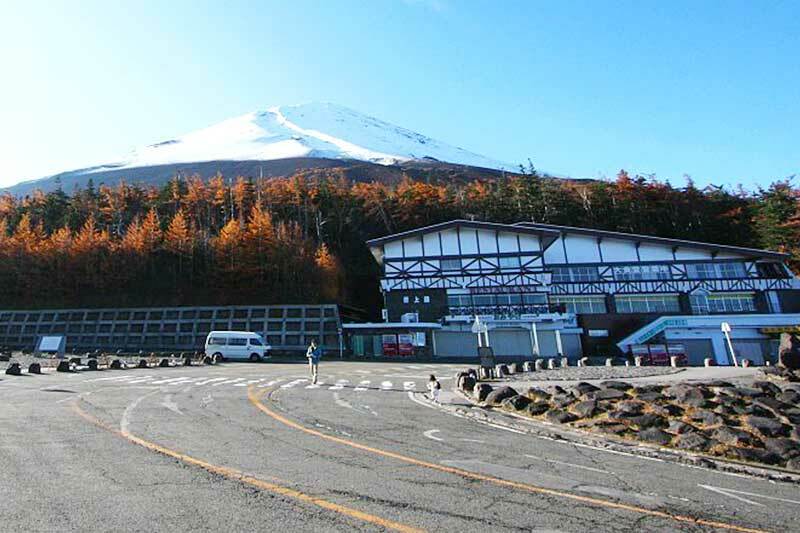 The 5th Station is situated at 2,300 meters (7,546 ft) above sea level. At this height, participants will be amazed at spectacular, breathtaking views from above the clouds. *Oshino Hakkai: It is a touristy set of eight ponds in Oshino, a small village in the Fuji Five Lake region, located between Lake Kawaguchiko and Lake Yamanakako on the site of a former sixth lake that dried out several hundred years ago. 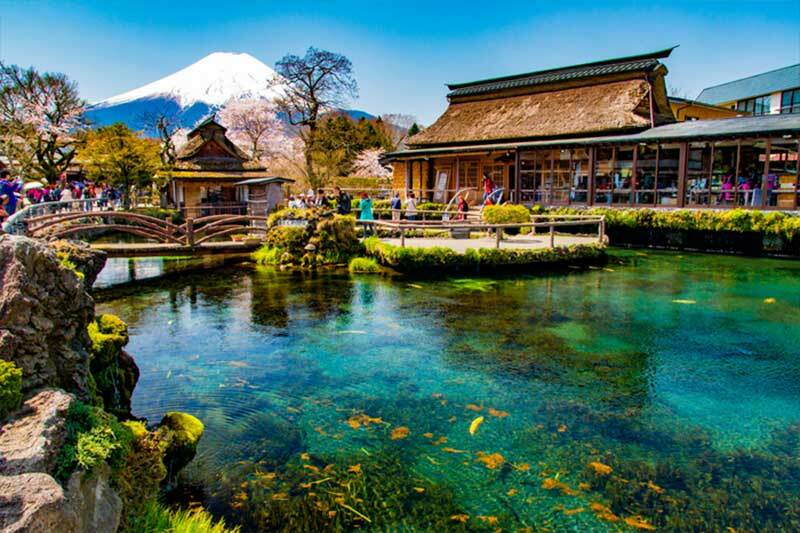 The eight ponds are fed by snowmelt from the slopes of nearby Mount Fuji that filters down the mountain through porous layers of lava for over 80 years, resulting in very clear spring water that is revered by the locals. *Lake Ashi Cruise: This crater lake along the southwest wall of the caldera of Mt. 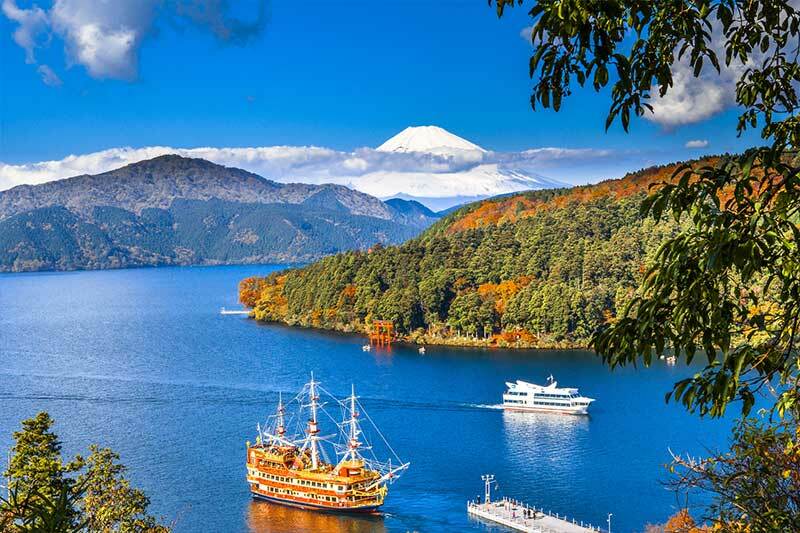 Hakone was formed by a powerful volcanic eruption nearly 3,000 years ago, and provides postcard views of Mt. Fuji towering 30 km northwest. Admire the superb view of Mt. Fuji from aboard a ship. *Komagatake Ropeway: Take a 7-minute ropeway ride to the peak of Mt. Komagatake. A total of 50 minutes will be spent here, including time to walk around at the peak. Take a cableway ride up to the spiritual Hakone Shrine Mototsumiya (original shrine) that nestles at the mountaintop. 5) Tour fare is based on American/Canadian adults (non-student group), twin share. 9) Reservation changes: changes to an existing reservation, whatever the cause, will incur a $50 per person charge plus any additional supplier fees. This includes name changes* and removal of any services such as optional tours and transfers. *Please note that name changes to airline reservations are subject to full cancellation and rebooking. See airline name changes section for specific information. Replacing a travelling passenger with another travelling passenger constitutes a cancellation, subject to cancellation penalties, and is not covered by this reservation changes policy. Changes or additions after departure are subject to local rates at the time of amendment and must be paid directly by the passenger to the service provider. 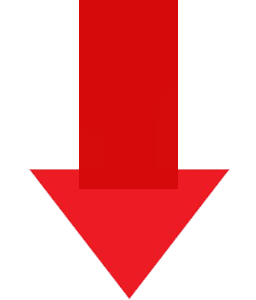 There are no refunds for unused services.